For a while, it looked like PUBG – the online shooter with an acronym 75% ABV – wouldn’t make it to consoles. Just as the horror of 2017 begins to come to a close, however, we get the Xbox One version. While money will almost certainly have changed hands to secure the game as a Microsoft exclusive (for now at least), the cynically-minded might suspect that Sony didn’t want it; the game is still very much unfinished (don’t be fooled by the recent “release” of the PC version). Microsoft are happy to sell unfinished games via their “Game Preview” program, but Sony don’t have an equivalent. For the benefit of those few who’ve somehow avoided all the PUBG talk since its release, this is PvP on a huge scale. 100 players on one map, with three modes; everybody against each other, teams of two, or teams of four. Everybody enters the map by diving from a plane at a time of their choosing, as it makes its way from one corner of the map to the other. On landing, it’s initially a rush to scour buildings for the randomly-generated weapons, healing items, and armour, as everybody starts off with nothing but their fists and an empty backpack. After that, past scavenging more items on your way, the objective is simple: survive, and perhaps even come out on top for the sought after “Winner winner chicken dinner” message. With up to 99 other players to worry about, getting that intangible poultry is no mean feat. There’s no respawning, though when part of a team there’s a chance you can be revived with minimal health. Healing – presuming you’ve managed to get your hands on such items in the first place – takes precious seconds where you’re left completely vulnerable. Patching yourself up usually means cowering in a corner somewhere, nervously watching for imminent death. Customisation options are painfully slow to unlock, but it doesn’t take much for passable Leon Kennedy cosplay. We’re specifically talking about our experiences with the Xbone version in this review. With that in mind, it’s clear that the gamepad controls – though not the train wreck they may initially appear to be – have clearly been designed (or amended) by somebody with little to no experience of playing shooters on console. For the most part they actually work quite well, with familiar mappings such as crouch/prone on B, weapon change by tapping Y, and sprint on LS. Switching between third-person and first-person views with RB is pretty much instant, and very useful. The dual use of X (tap to pick up an item, hold to reload) sounds awkward, but actually proves to be a good decision. It’s the use of LT, and the implementation of ADS shooting, that still needs work. In third person, holding down the left trigger focuses the sight better (as in traditional third person shooters), and tapping it gives a first-person view down the sights. In first-person, holding the trigger does nothing, and tapping it aims down the sights. The left and right stick buttons angle the gun accordingly but, when it comes to console muscle memory, this causes all sorts of problems exasperated by a lack (at time of writing) of control customisation. It seems fair to say that the majority of console players will be used to holding the left trigger for ADS shooting, releasing the button to stop. Otherwise, holding down the left stick would ordinarily instantly break ADS for a sprint, or the right stick for melee. None of this applies in PUBG. Precision shooting can therefore be awkward for those used to console shooters, who will need to essentially learn a new control set for this one game. The controls, however, may perhaps be adjusted as part of early access. These quirks aren’t insurmountable, but it’s important that you get a handle on them (as well as the simple but potentially fatal fact that all auto and semi-auto weapons default to single shot mode; not the kind of thing you want to find out or remember the hard way in the middle of a firefight). Fundamentally, it’s a PC game that almost-but-not-quite fits console. This is reflected with unflattering clarity in the graphics, which fall staggeringly short of top PC settings. The console version would look quite at home on a PS3. 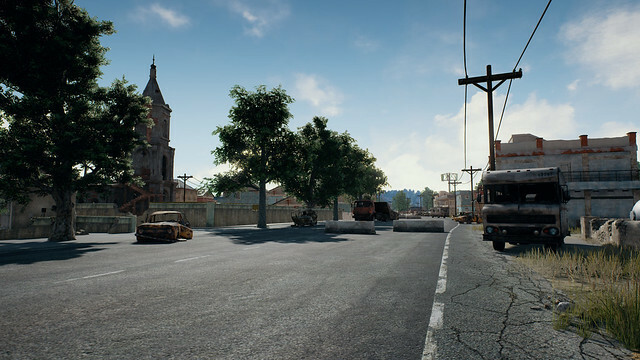 Despite all this, and the many signs of technical problems (frame rate sometimes suffers significantly, the map can fail to load properly for several seconds after first landing, and be prepared for a crash or two), little can match PUBG for thrill and tension when it’s at its best. Despite 100 player matches, going several minutes without seeing anybody when playing solo is not uncommon. The point is that you could come under attack at any second, from any angle. This is something you’re constantly aware of, edging nervously into buildings and staying out in the open as little as possible. 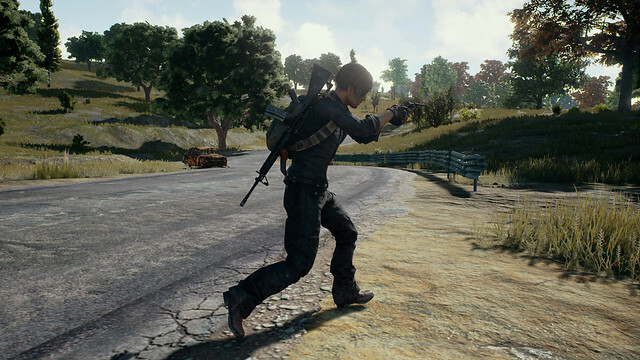 PUBG is more like a sport than a traditional online shooter. Don’t be surprised if you make it to the top 20 without meeting anybody, only to be almost instantly killed by somebody you never even see. Points/kills are hard-won; just three kills in one match is fairly impressive, making it to the last few survivors more impressive still. The play area shrinks every few minutes, anybody caught outside it rapidly losing health until they enter the safe zone… or die. The start point of the ever-decreasing safe zone is random. Unless you get incredibly lucky, hiding out in the first building you see and waiting for people to come to you is simply not an option. £24.99 is a lot of money for an unfinished game with no offline mode. 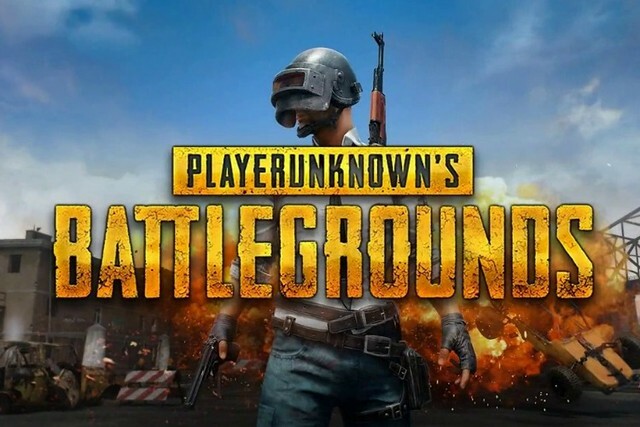 Nonetheless, if you take the plunge, you’ll find a harsh, fair, addictive battle royale game that levels the playing field for everybody admirably. If/when everything becomes much smoother, that score can go up by one, or even two. Until then, it’s brilliant fun… but still very much in need of work.